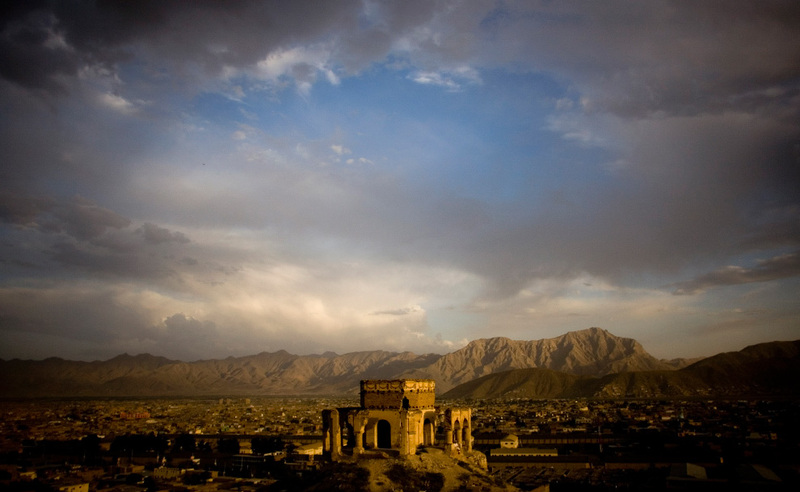 The tomb of Sultan Mohammed Telai, which was destroyed during the Afghan civil war in 1990's is lit by setting sun on Friday, July 23, 2010 in Kabul, Afghanistan. – Nate Silver gives us a ground-eye view of the area where the Cordoba House Islamic center is to be built in Lower Manhattan, and convinces me pretty thoroughly that it should be built there. – Putting people to work (and providing some education for the kids) through historically accurate castle-building techniques? Sounds like a winner to me. – A couple of civil liberties and human rights groups have teamed up to bring you a free point-and-click adventure game – The Curfew – set in a dystopian Britain circa 2027 (via io9). – An old gem unearthed: a Harper’s Magazine article from 1941 simply titled “Who Goes Nazi?” And it really does make for a delightful game at parties (H/T to the Hybrid Diplomat). It is an interesting and somewhat macabre parlor game to play at a large gathering of one’s acquaintances: to speculate who in a showdown would go Nazi. By now, I think I know. I have gone through the experience many times–in Germany, in Austria, and in France. I have come to know the types: the born Nazis, the Nazis whom democracy itself has created, the certain-to-be fellow-travelers. And I also know those who never, under any conceivable circumstances, would become Nazis. – If you missed it last month, the New York Times took a look at the innate ability to wage war – in chimpanzees. – Illicit virtual underground economies in “Dark Gold: Statistical Properties of Clandestine Networks in Massively Multiplayer Online Games” (PDF). Putin issued a warning to all would-be spies and traitors. I finally get around to reviewing Freedom™. And Richard Perle continues to maintain the self-delusion that he is still relevant. A general note: this blog will essentially go dark for the month of August so that I might really, really get around to writing that whole dissertation thing. I’ve been told it’s awfully important.